Rain lily bulbs bloom in late summer and early fall. They typically provide a flush of blooms after receiving water thus the common name, rain lily. Pricing is per package and per rain lily variety (quantity discounts apply). 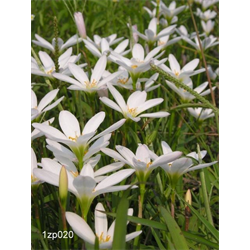 View the other zephyranthes bulbs for sale today!